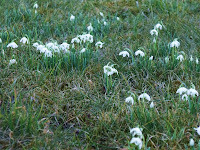 Snowdrops not a great picture as I had to zoom and could not get a closeup macro shot, posting anyway because it was suggested that I do not take enough pictures of flowers. These were on the moss covered lawn of an old house. 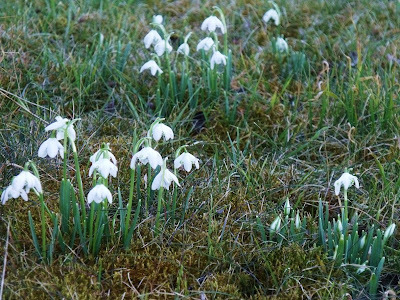 Now I know that the snowdrops on my farm must be out as well.Any signs of daffodils in Co. Tipp yet?